Daytona Beach is full of world-famous attractions like Daytona International Speedway and popular events like Daytona Beach Bike Week. 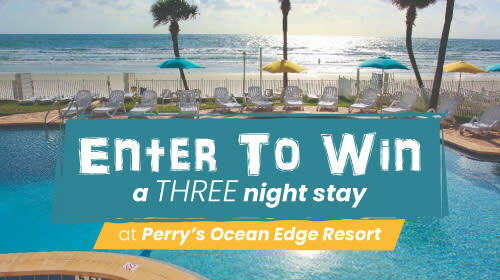 But beyond these favorites, Daytona Beach offers a number of lesser-known destinations that Daytonians are proud to claim. Whether a fun event, an annual tradition or a family vacation brings you to the area, consider investigating one of these more low-key, local-favorite activities on your next trip! Set on nearly 8.5 acres along the banks of the Tomoka River, Sanchez Park provides a variety of amenities for nature lovers. Large, shady trees offer the perfect backdrop for an afternoon of grilling, playing on the playground, stretching your legs on the walking/biking path, fishing and more. Open from sunrise to sunset, the park’s boat ramp offers easy access for small watercraft. Several kayak and canoe rental companies in the Daytona Beach area will allow access at Sanchez Park, and this hidden gem is the perfect place to explore Florida’s natural attractions. 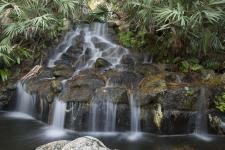 Speaking of parks in the area, Volusia County parks are top-notch. From stunning springs where you may see manatees to fun hiking trails with breathtaking views, there’s so much to discover outdoors. 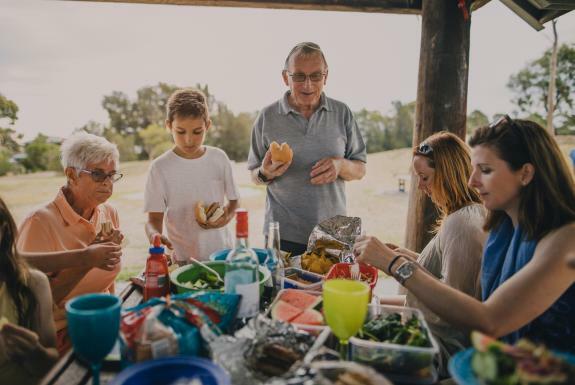 One way to get a feel for the area’s wild beauty is to pack a picnic basket or pick up sandwiches from a local café and enjoy an outdoors lunch followed by some park exploration. 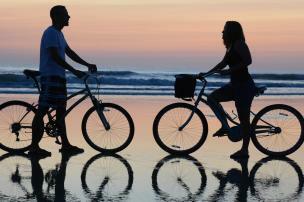 The Daytona Beach area has many free options for parks and trails — it’s no wonder why this is a favorite local pastime! Find park listings, website information and much more by downloading the Volusia County Parks and Trails App. View a truly unique spot at the Ormond Indian Burial Mound, located at the corner of South Beach Street and Mound Avenue. This intact burial ground is estimated to contain over 100 individual burials and thought to be over 1,200 years old. The Timucua Indians were nearly 200,000 people strong at one point, and this mound pays homage to their lives. Park your car across the street at Ames Park, enjoy a walk along the Halifax River, and be sure to take time to visit this interesting stopping point. One of the Daytona Beach area’s more quirky attractions is the Gnome Tree, located on Riverside Drive across from the entrance of San Robar Drive in Holly Hill. For more than a decade, a local person has cared for the tiny gnomes that have “taken up residence” in an old tree. 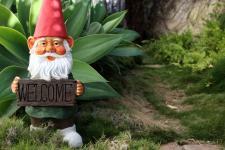 The Gnome Tree has since garnished international attention, and people come from all over to leave notes with the gnomes. Care for the gnome tree continues to spread joy and hope to all who visit — you can read more about the caretaker here. 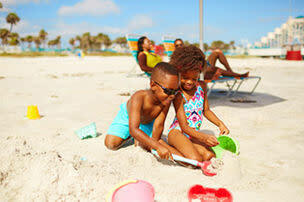 The Daytona Beach area has a wide variety of art museums and galleries. One local favorite is the Ormond Memorial Art Museum & Gardens, which offers a rich array of exhibits and includes works from prominent Florida and international artists. In addition to viewing the impressive collections of work, you can stroll through lush gardens, serene nature trails and much more. 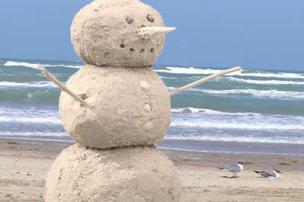 It’s a wonderful place for locals and vacationers alike to step back from the hustle and bustle to find peace of mind. Come and pay your respects to Daytona Beach’s most beloved four-legged local. Brownie was a stray dog who was "owned by no one, loved by all." He was collectively adopted by the residents of the city from 1939 until his death in 1954. Brownie was a loyal town dog who loved and licked all of his neighbors. 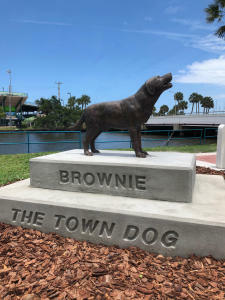 Learn all about Brownie’s famous story, visit his grave in Riverfront Park near the water on the corner of Beach and Orange Avenue, and leave a painted rock in memory of your own beloved pet. There’s nothing like rounding out a day of exploration with a round of drinks or a treat at a local haunt. If you’re near Holly Hill visiting the Gnome Tree, be sure to pop into the new Copper Bottom Craft Distillery for a tour and a taste of their small-batch liquors. 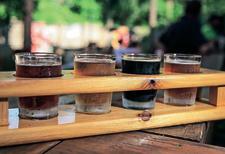 Or, consider a unique concoction of flavors at Tomoka Brewery in Ormond Beach. 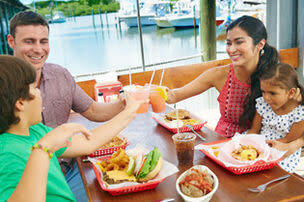 In fact, any one of the stops along the Daytona Beach Ale Trail would be a great way to get a taste of local flavor. For a more family-friendly treat, head to Rhokkoh’s Frozen Yogurt, a fun, ultra pet-friendly shop that features hot dogs, fro-yo and plenty of outdoor seating to be enjoyed by visitors and leashed pets. 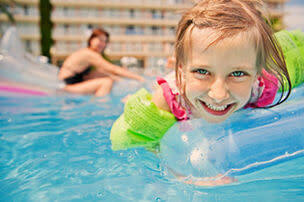 With so many fun activities in Daytona Beach, you can’t go wrong! Hopefully, you’ll get to experience one or more of these slightly less conventional vacation ideas. These are just seven of an endless number of reasons why people are proud to call the Daytona Beach area home. Come see for yourself — plan your trip today!